I have been sewing and knitting for one year. Last summer I found this wonderful web and I loved the idea of a sewing along. This will be my first Sew? I knit! proyect. 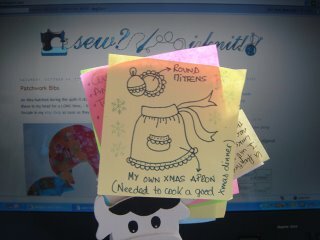 I would like to have my own made-by-myself xmas apron for this holiday and I also plann to sew some round xmas mittens.